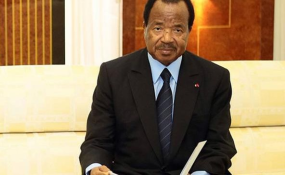 Elections Cameroon (ELECAM) and the administrative authorities are working on measures to ensure that the October 7 election takes place in the socio-political crisis-ridden North West and South West Regions. The special security meeting that took place at the Ministry of Defence on August 13, 2018 on the high instructions of the Head of State and Commander-in-Chief of the Armed forces, Paul Biya certainly proposed security measures to be implemented before, during and after the presidential poll throughout the national territory with specific attention to the North West, South West and Far North Regions. The Minister of Territorial Administration, Paul Atanga Nji disclosed during a security evaluation meeting in Bamenda on August 19, 2018 that the Head of State, Paul Biya has instructed administrative and security forces to accompany ELECAM with logistics and security to handle the October 7, 2018 election. At the level of the election organizing, managing and supervising body, Elections Cameroon (ELECAM), the greatest challenge is for the administrative authorities to indicate secured localities where the election could conveniently take place. The assurance from the administrative authorities has the ultimate goal the relocation of polling stations from dangerous places to safer ones. The North West ELECAM Regional Delegate, Ngah Gasper confirmed to Cameroon Tribune that the region has 2,338 polling stations and the process of relocating the polling stations is ongoing. He explained that due to security reasons they have to group most of the polling stations in to polling centres and assured that the process will be completed before voting day.